Forex Articles What is the Technical Analysis? At what point it is worthwhile to buy the investment vehicle in order to earn at minimal risk? It’s the most important question asked by traders operating on the currency market. 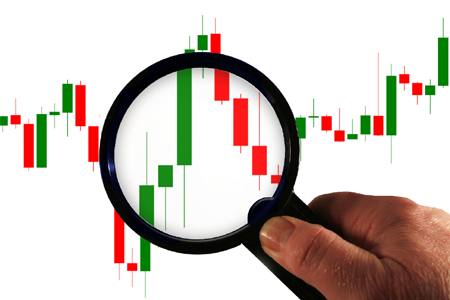 In Forex there are two interrelated methods of market analysis. These are technical analysis and fundamental analysis. In the article you will find the most important things about first format. Forecast of the investment vehicle price based on chart is the simplest technical analysis definition. A key tool is the chart, which indicates historical price data in different configurations. Chart enables to visualize graphically the market. Currently it’s the simplest and available from hand in Forex brokers offer, an observation form of price fluctuations. The concept of technical analysis is based on three following points. Their understanding causes that many investors immediately recognizes the chart as the only ally in decision making process with regard to trade. Technical analyst claims that the price includes all crucial information from each economy sector, as well as psychological elements. Market in a certain way globally evaluates a given instrument already after discovery the important news. When the price rises it indicates a demand. This demand was caused by something. However, the technical analysis doesn’t deal with cause, but with effect in a form of price changes. Discounting (consideration) information in the price gives research independence to technical analysis. Without trend idea there’s no technical analysis. Analyst must agree that on the market prevails dominating upward or downward. Trader wants to take a position in accordance with trend, because then earns the most. Chart monitoring on Forex suggests immediately the existence of trends. Therefore, technical analysis in this assumption is cohesive. Technical analysis largely assumes that investors rely on past fluctuations in prices and will be willing to operate similarly in the future. In a word “the history likes to repeat”. At this point it is necessary to implement the concept of technical formation. Formations in different words are repeatable, predictable patterns, conditioned with psychology of the crowd. When the dominant trend changes, then it is possible to notice a certain scheme on the chart, e.g. impossibility of repeated maintaining the strong price opposition. Formation tracking is a main technical analyst work. Is it worthwhile to use of such an analytical model? Table, which includes advantages and disadvantages of technical analysis, will answer to such basic question. Advantages clearly dominate over disadvantages; therefore it is possible to recognize the technical analysis as a basic, when it comes to learning the trade on Forex. If you agree with main assumptions of the technical analysis, i.e. you believe in history repetitiveness, trends and discounting information, you will appreciate the significance of chart observations. Thanks to such a simple analysis form, the currency market became available to many retail profiteers.